Please note: The sterling silver and yellow gold mixed metal band in the photos has been sold. 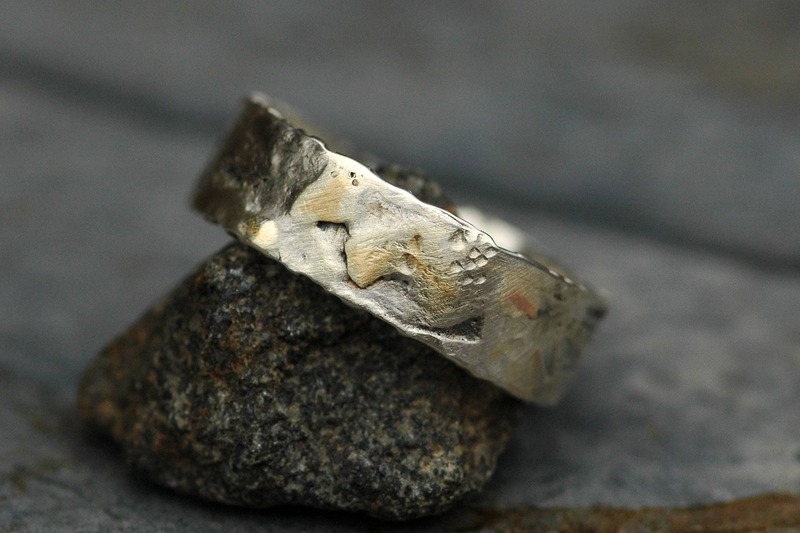 This ring is for a custom listing of the same design, in your size. As each of these rings is completely unique, your ring will differ slightly an appearance from the one in the photos. I always send multiple hi-resolution photos of completed rings before shipping. 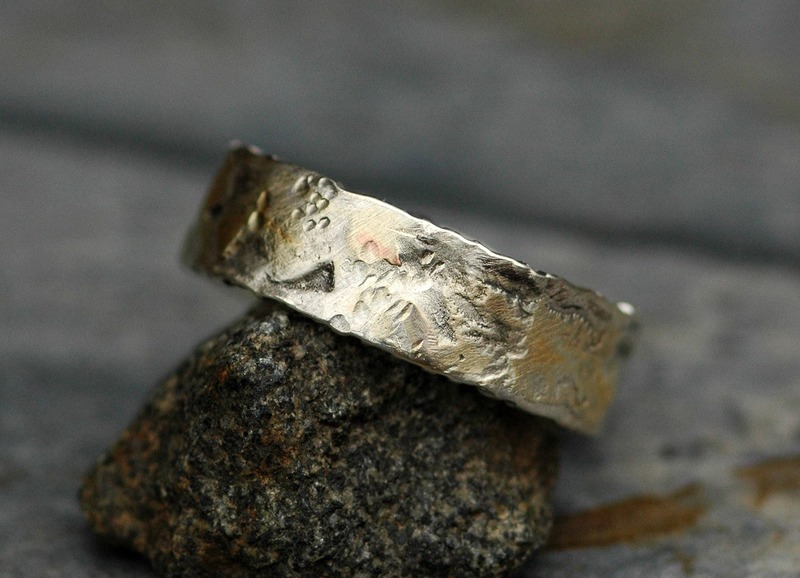 I work with my clients until they are fully happy with their rings, at which point, the pieces can ship. 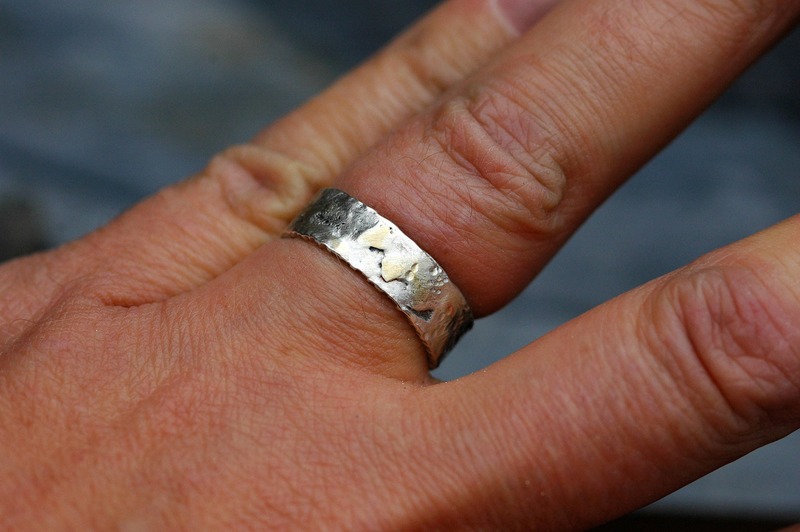 I created this ring by 6mm melding sterling silver with yellow gold. 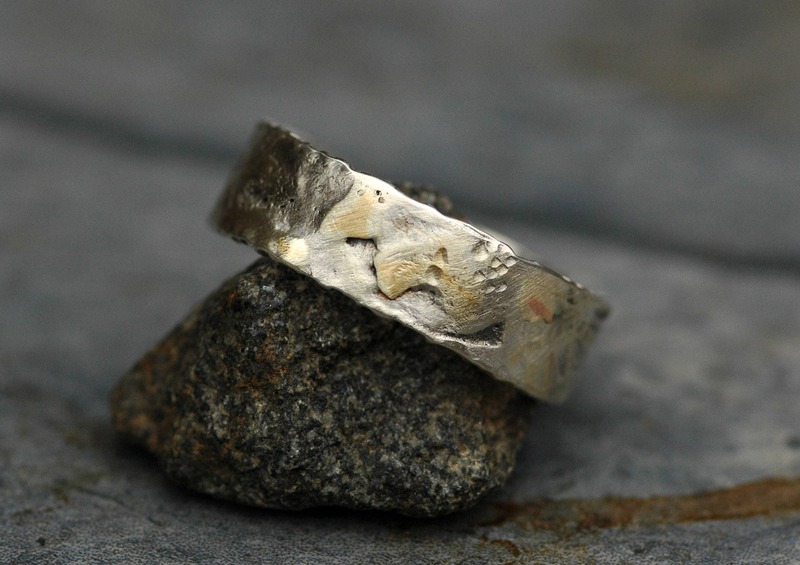 There are also a few touches of rose gold embedded in this ring. 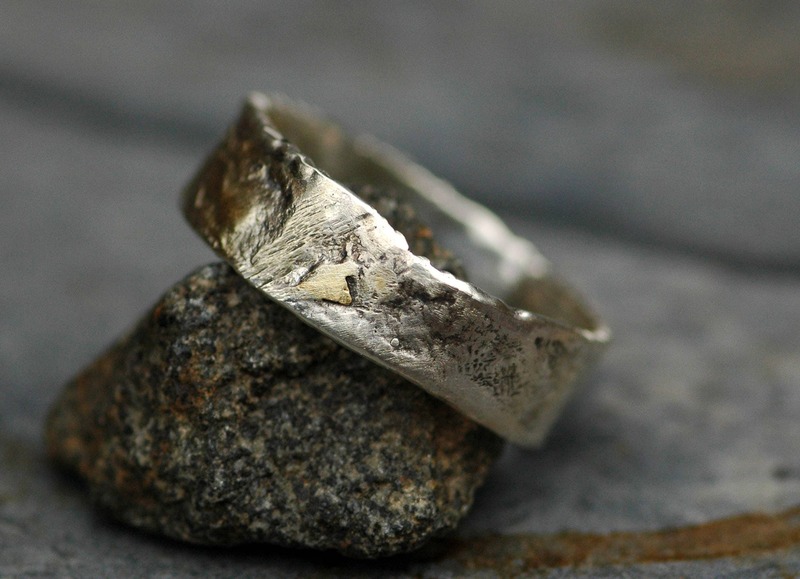 This is an extremely layered and textural ring. I made this for those searching for a band that looks like it has been pulled from the earth. 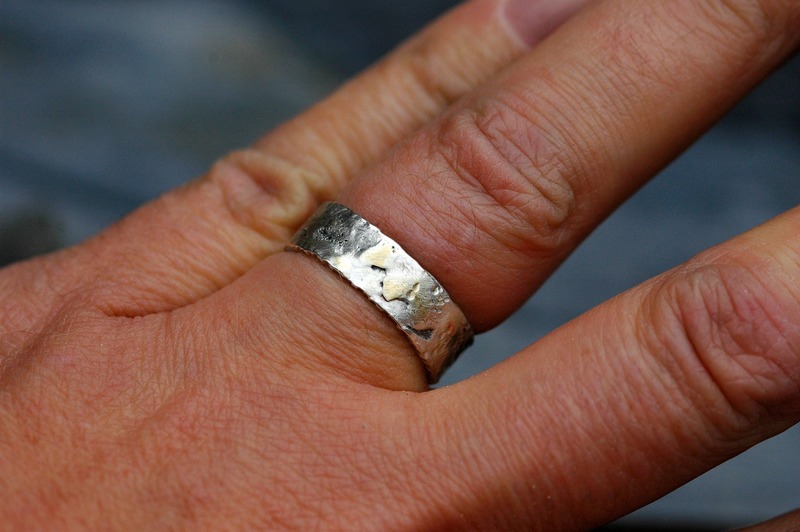 After melding the metals with my torch and formed the band, I used a series of hammers to create additional texture on the band. Some of the more textural sections of the band were oxidized/darkened. 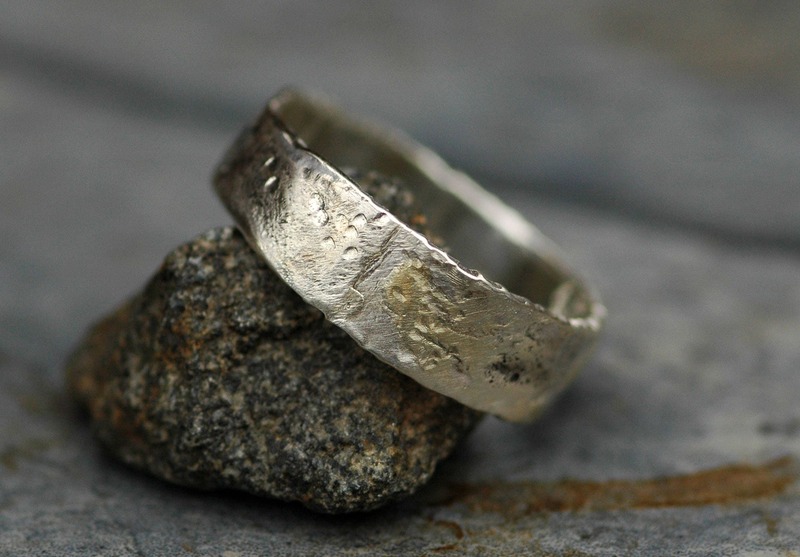 As the ring ages and takes on even more of a patina, the oxidizing can fade. This will occur more quickly if you shower, swim, wash dishes, etc. wearing the ring. 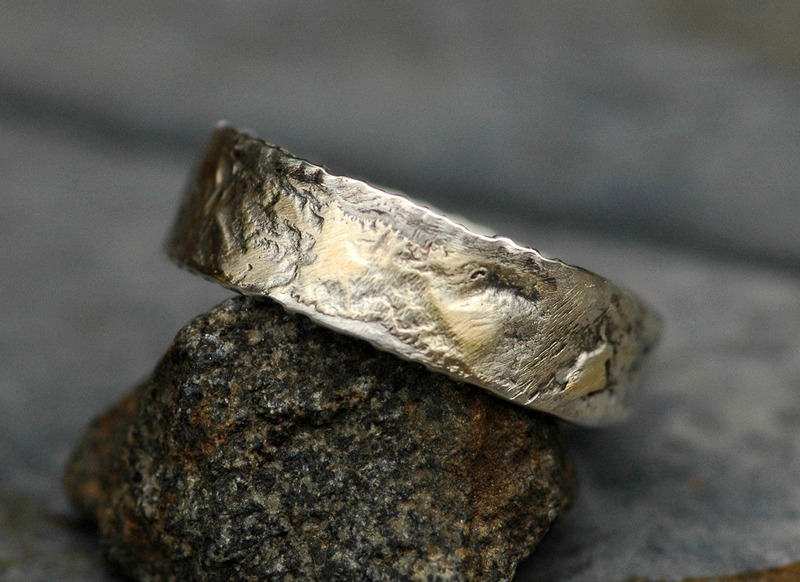 It can easily be re-oxidized- this is a complimentary service I provide, for the life of the ring. Many clients prefer to not have the reoxidizing done, as they love the way their ring wears and settles in on its own over time. 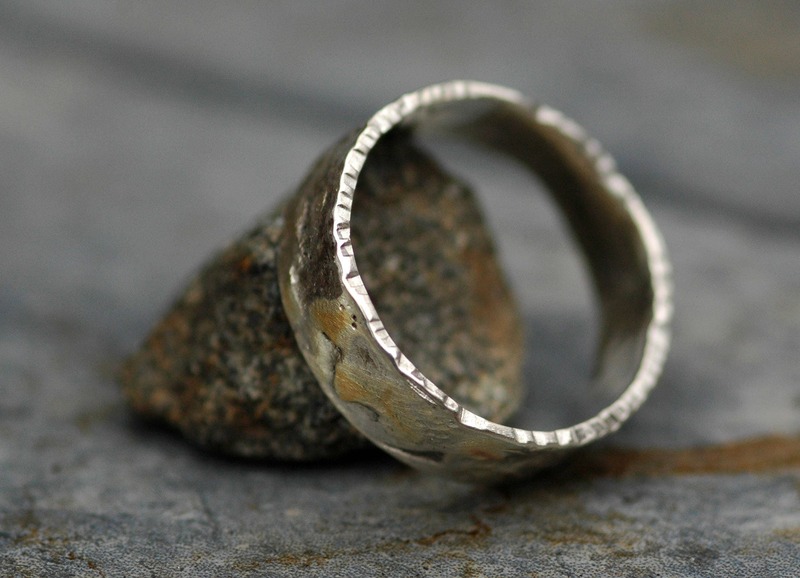 The inside of this ring is polished to a high shine, so it is incredibly comfortable to wear. Please provide me with your true ring size when ordering. Please do not ‘size up’ in order to accommodate the width of the band. I need your actual ring size, and will do the sizing up on my end. You are unsure of your ring size, please don’t hesitate to ask me for advice on how to get sized properly- I am always happy to help.